The opening night of Hamlet coincided with my fiftieth birthday. In embracing this milestone I decided to treat myself and mark the occasion with a performance sponsorship. In reality what I got was a night I won’t forget and a strangely pleasant feeling about parting with £5,000.  The Royal Exchange Theatre helped me celebrate my birthday exactly the way I wanted to – amongst friends, in effortless style and at one of the most special places in Manchester. It’s hard to say what the best bit was, it all worked perfectly. The whole evening was really special. Clinking glasses with the cast after the show, a bespoke event and dedicated team with an eye for detail – for one night I could pretend I move in this world all the time. Who wouldn’t enjoy such an experience? And the nice warm feeling I got writing the cheque. That came from knowing the young people on stage in Hamlet were able to be there in some small way because of me. That feeling will last for a long time. Every time I hear about what the Young Company have been up to, I’ll know that I helped make it happen. You can’t put a price on that feeling.